Jeison Orlando Rodríguez Hernandez, 20, from Maracay, Venezuela, has claimed a spot on the Guinness Book of World Records for 'The Biggest Feet in the World'. 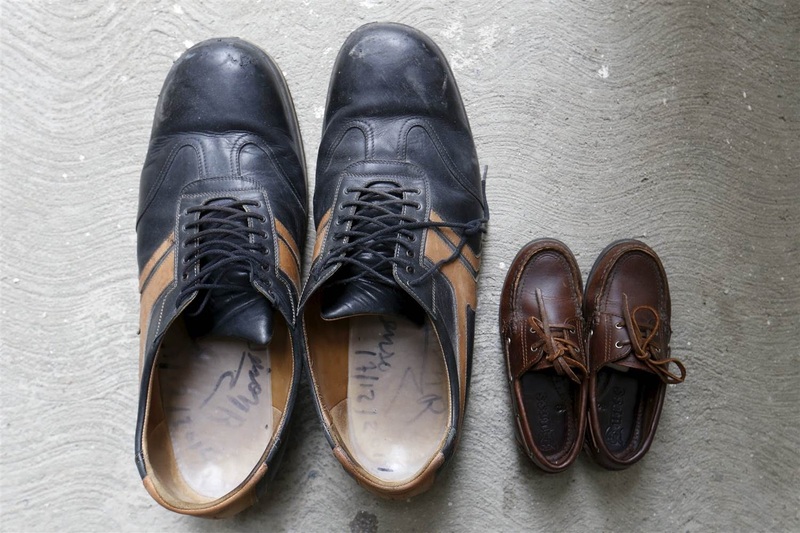 The youngest of four children, Jeison grew at a normal rate until he turned 10, when his feet suddenly grew from a size 5.5 to a size 11 in less than a year. His right foot now measures an incredible 40.1cm (15.79in) while his left measures 39.6cm (15.59in), making him a size 32 in the UK. From the age of 14, Rodríguez Hernandez had shoes made out of cloth material that only lasted two to three weeks, forcing him to go barefoot at times. In school, Rodríguez Hernandez had to face verbal and physical bullying because of his feet and used to come home traumatized by the discrimination. He underwent medical scans that determined he suffered from an overactive pituitary that produced the excess growth. His parents were forced to seek medical help for Jeison when he went through his massive growth spurt at age 10, when he also suffered from severe headaches and joint pain. A German specialist shoemaker, Georg Wessels, introduced Jeison to the Guinness World Records after travelling to Maracay in the west of Venezuela to make Jeison’s shoes. Jeison now wants to return to studying, having beaten the bullies, to learn to bake and to help people who are suffering from depression. The previous record holder for Biggest Feet was Turkish farmer Sultan Kosen, with a shoe size of 28. Somewhat unsurprisingly, Kosen also holds the record for the world’s tallest man, standing at 8ft 3in tall (2.51m) while Rodríguez Hernandez measures 7ft 3in.